As discussed in Part One, this is a Solo Build It review that discusses the legitimacy of Solo Build It reviews by members of Wealthy Affiliate. A mainstay of the SBI study is the Alexa rankings in relation to websites hosted by Wealthy Affiliate. In Part Two we’re going to discuss the accuracy of Alexa rankings and if those statistics can really be trusted? SBI likes to reference Alexa rankings as being a factor in the success of your website. Unfortunately many of the top authorities on the web don’t trust the information from Alexa. When it comes to discussing internet marketing issues Moz.com is a well-known and respected internet marketing forum that’s well-known in the industry. There is an excellent post concerning just how accurate Alexa rankings are and if they can be trusted. The above referenced post from Moz.com also referenced a post by Rand Fishkin on the website Sparktoro.com which has a killer post on the accuracy of traffic websites. In the first paragraph of this post Mr Fishkin states that although services that claim to predict the traffic websites receive have been around for over 15 years, he’s been very skeptical of their accuracy. After having seen how poorly some of these websites have predicted traffic on sites whose analytics he personally accessed, he wondered just how accurate the reporting really was. In 2012, Mr Fishkin ran a project to test the truthfulness of the numbers reported by some of these tools, and came away very unimpressed. He also stated that Mark Collier (of the Open Algorithm Project) expanded on these tests in 2013 and discovered similarly disappointing results. What Mr Fishkin and his colleagues discovered is that in recent years it was obvious that services like Alexa, Compete, Quantcast, and others simply don’t do a consistently good job of estimating a website’s traffic. 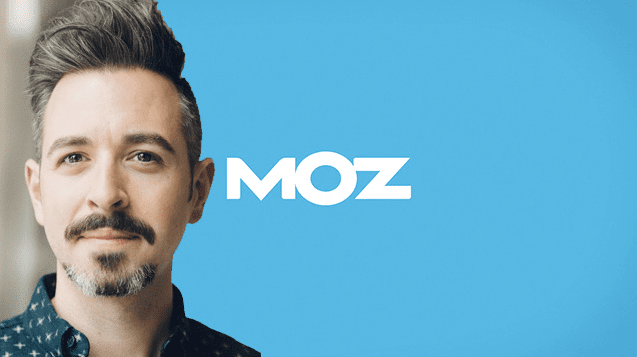 Rand Fishkin wrote another blog post on Moz.com. The title of the post is: “Testing the Accuracy of Visitor Data from Alexa, Compete, Google Trends, Doubleclick & Quantcast”. Mr Fishkin wrote that the website SEOmoz.org had 13.8mm visits from 6.25mm unique visitors in 2011. Those numbers would seem pretty exciting. What’s not exciting is the external perception created by third-parties like Compete, Alexa, Quantcast, Doubleclick and Google Trends for Websites; these sites reported massively lower and wrongly trending data – and SEOmoz isn’t alone in experiencing this frustration. Mr Fishkin reported that SEOmoz.org were among dozens of sites he talked to at the time who’ve lamented poor growth thanks to these “horrifically inaccurate services” as he called them. The point here is this: the site that’s used in Ken Evoys report to measure website traffic is seriously questioned by reputable marketers as being unreliable and deeply flawed. If you’re serious about your online business I would highly recommend taking a few minutes to read the comments and analyses in these reports quoted above. There are other points as well, but I didn’t want to turn this into a 2000 word post! Now back to the main reason that I wrote this post concerning Solo Build It vs Wealthy Affiliate. The whole squabble started because the owner of SBI took offense to some negative reviews about his system. Plus he said that these same people were doing a bait and switch and luring people away from SBI to different opportunities. SBI seems to think that affiliates doing this are unethical. So SBI’s owner Ken Evoy publishes a report which excoriates Wealthy Affiliate. But here is one thing that many people need to know about SBI. They use affiliates to promote their program too. Many Solo Build It! affiliates have written unflattering reviews on Wealthy Affiliate as well. Yes…there are Solo Build It! affiliates who write bad reviews on Wealthy Affiliate! The kicker is that a large percentage of Solo Build It affiliates who promote the product never actually used it! So its possible that a newbie may run across a SBI review from an affiliate telling them how great the product is when in reality that affiliate has no experience with it. The report by Ken Evoy to humiliate Wealthy Affiliate is flawed. Mr Evoy feels that his report is not flawed. Other experienced webmasters insist that traffic reporting services Alexa, Compete, Google Trends, Doubleclick & Quantcast” and others not mentioned are deeply flawed. The internet makes it easy to put information out there in hopes that it will result in something positive for our businesses. That does not always happen!.. This goes for Solo Build It, Wealthy Affiliate and all the members of each company. The only way to get real data that’s not biased or possibly manipulated is by using a totally independent third party to conduct the research. Compare website traffic – although the numbers might not be accurate, which in many cases they’re not, you can still see whether Site A is getting more traffic than Site B on average and use that info to your advantage. Learn more about competitors keywords – one fact you can bank on is most of the above mentioned networks share some basic keyword data. You can use this to find out what the competitors are targeting and get some keyword ideas for your own website. That’s smart marketing. See how related sites rank – find additional competitors by looking at related sites and add those to your research. Things change quickly on the web, and it can be hard to keep up with the technology. Is the Solo Build It vs Wealthy Affiliate saga going to end? I wish it would! One thing is for sure, if Solo Build It wants to look like a respectable company, then it would help if they moved away from accusing Wealthy Affiliate and the Make Money Online niche as being the problem. It would help if they would focus less on making Wealthy Affiliate look unethical and just improve their platform in a positive way.There’s some really good data in Ken Evoy’s report, but there’s also a ton of negative bashing of Wealthy Affiliate. Internet marketing is here to stay and there’s no doubt it will become more competitive over time. For me I will stick with my #1 recommendation for building a profitable affiliate marketing business! Sounds to me like Solo Build It are scared of hard work and instead they are busy pointing fingers. And to hear people who are reviewing their product don’t even have experience with the product. in my opinion, I think they (Solo Build It) need to put more effort in improving their product rather than blaming business that are doing things the right way period. that’s my opinion. greate post by the way. Ken Envoy – that’s a blast from the past! I did SBI many moons ago when it was called Site B uild It. I’m not going to dis it because, quite honestly, I’d totally forgotten about it until I ready your post and I can remember nothing about it 🙂 . However, needless to say, I didn’t get anywhere with it although tat may have been down to my mindset as much as anything. Anyway, I was more interested in the rankings report. I’m guessing that if dfferent sites use different tools to measure these things then their results will be different. As you say, the best measurement is simply to compare the ratings of two sites to get a comparative reading. I’m not sure if we should be surprised by the lack of accuracy given the complexiy and difficulty of the task. Does it seem that the accuracy of Alexa findings can only be as reliable as the data it receives, and as the data is flawed, so is the result? Won’t it be more damaging if we keep the controversy in the headlines? Is this big enough that if we walk away from it, It won’t just die? Aren’t we wasting more valuable time and resources combatting this then just letting it die? I have to agree 100% with everything you have just said here. One thing I had to do was to read part one in order to completely understand and comment this part 2. What struck out the most about part one is the fact that you clearly explain that “If any member of Wealthy Affiliate is writing negatively about Solo Build It! they are acting on their own”. This is very true and it’s not what is thought at Wealthy Affiliate!! Well there you go! That is the answer to the Solo Build it! and Wealthy Affiliate saga! Be the best and prove to everybody else who is better than the other. There will always be people that have their own opinion no matter what.